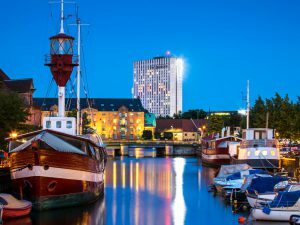 The FlyPharma Conference Europe will be taking place on 22-23 October 2019 at the luxurious Radisson Blu Scandinavia Hotel in the captivating city of Copenhagen, Denmark. 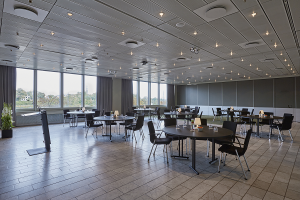 With Copenhagen Airport just a 15 minute drive away, and with many restaurants, shops and cultural attractions within walking distance of the hotel, you can make your conference visit as convenient and enjoyable as possible. If you choose to stay at the Radisson, you can also start networking with your fellow delegates as soon as you arrive, while having the freedom and space to break away should you need to. Delegates and guests can enjoy complimentary high-speed internet access, and the hotel’s dedicated staff will ensure every need is met. The conference rooms and networking areas are bright, airy and comfortable, encouraging easy interaction and dialogue. FlyPharma Europe is a unique event where cargo, logistics, (bio)pharma and solution providers meet to discuss new services, market trends and collaborative opportunities. Attending FlyPharma Europe will help you to analyze the key risks and overcome the potential challenges of your supply chain, with expert content presented throughout the two-day conference. Find out more about our newly announced venue here and if you have any questions or queries please email flypharma@samedanltd.com. Haven’t booked your tickets for FlyPharma Europe 2019 yet? Click here to claim your two-day or one-day pass today and stay ahead of the latest pharma supply chain trends. If you have any questions or require any help with booking your conference pass, please feel free to get in touch. Get your point across at FlyPharma Europe – we are looking for pharma and cargo speakersto deliver thought-leading presentations and take part in panel debates. Email angela@samedanltd.com for more information and to declare your interest.